The pseudonymous celebrity journalist Garrett (Because I Wanted You, 1997, etc.) offers another wants-to-be-a-screenplay romance/thriller. At 34, with a husband she loves dearly and a successful career as a TV journalist, Clare McClendon is a troubled woman: her breast cancer has gone into remission, and she’s still in mourning for the mother lost when she was just 17. When she receives a postcard from a woman she’s never met—the wife of Riley Brackett, Clare’s first love, whom she’s not seen since the fateful summer before her mother died—the timing couldn—t be worse. Husband Michael is away, caring for his own dying mother, and Clare is at her most vulnerable, waiting for the latest cancer-test results. 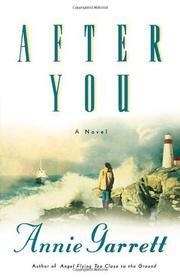 Scared and isolated, she impulsively journeys alone to rural Maine to help Riley Brackett recover from the amnesia he has as the result of a boating accident. Riley remembers nothing but Clare—not his wife or his two daughters or anyone else. For a few days, Clare is swept up in the fantasy, but she soon starts to miss Michael; before she leaves, however, she tries to point Riley in the right direction—that of his wife, kids, and the way of life he’s known forever. Riley’s soap-opera-like condition, Michael’s lack of presence and cartoonish family situation (his mother and father are both identical twins, and he grew up with four biological parents), and the spoiled, conceited, unlovable Clare—all make for a rather soppy, highly unrealistic tangle of weeds.